Question: Where is the restroom/shower house located? Beautiful little NPS campground. 10 sites, half of which are pull thru, we stayed in Site 14, a pull thru which was relatively level. Firewood was available at $3.00 a bucket, very generous. Hosts were friendly and very informative about the Cedar Breaks N.M. area. Campground is at altitude (over 10,000 ft) and this should be taken into consideration when hiking in this extremely scenic area, as well as, lower night time temperatures, lows were in the high 30's. Aspens were already changing so we were treated to stands of Gold and Red fall colors. There are paved walkways to lookout areas and Visitors Center, making it ADA accessible. Wildlife is abundant, particularly Mule Deer. Restrooms and showers were clean, showers had plenty of hot water. We would definitely return. We camped at Point Supreme Campground (NPS Campground) in a Motorhome. Located in the Black Hills National Forest among ponderosa pines along the south shore of Sheridan Lake, with views of the lake. Road into the campground off of Rt #385 is paved, two way and very narrow. The campground is equipped with picnic tables, campfire rings, vault toilets, and drinking water. Firewood is available at the check-in booth. No electrical hook-ups and quiet time is 10p to 6a. 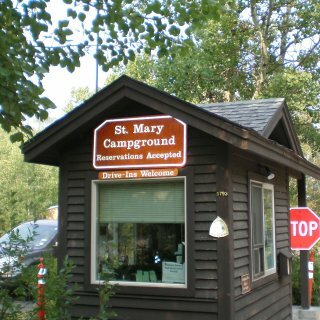 Campground conveniently located to Keystone, the Mt. Rushmore and Crazy Horse monuments, as well as, Jewel Cave and Wind Cave National Park. We camped in site #61, which was level and well separated from other sites. We would stay here again. We camped at Sheridan Lake South Shore Campground - USFS in a Motorhome. There is a gas station with a store located near the campgrounds at the fork of Rt# 16 and Rt# 385. We were fortunate and obtained a pull through site on loop A, site 001 at Glacier Basin Campground on short notice. Reservations are strongly suggested. Site was wooded, level and adequate for our RV. I did not like the large boulders that bordered either side of the pull through site. Many sites in this loop were pull-over type and the pull-in sites were angled the wrong way. Sites do not have hook-ups. Each campsite has a picnic table, fire ring with grate and tent pad. Roads and parking spurs are paved. Restrooms have flush toilets and there is drinking water available. Bear proof trash containers are centrally located. This is bear country and there are lockers for food stuffs located between sites, if not stored inside camper. Though there is no fire ban, campers are required to attend their fire at all times. Fire wood is available from a vendor who comes to the campground and sells a bundle of wood for $5.00. There is free shuttle service, through out the park and worth using, instead of driving yourself. There is a bus stop located inside the campground. Scenery is spectacular with an abundance of wildlife (deer, elk and even an occasionally moose), did not see any bear. We have an America the Beautiful Senior Age Pass and paid $13.00 for our campsite and no entry fee to the park. We would return to Rocky Mountain NP. We camped at Glacier Basin Campground (NPS Campground) in a Motorhome. Park is located on Chatfield lake in Littleton CO, southwest of Denver. We were there on a Thursday and camped in site C122, electricity only for $26.00. There were plenty of sites available. Sites were pull through and have very little or no shade. We were in a electricity only loop, there is a full hook-up loop for $30.00. We had a Veterans/Military Pass, issued by Colorado for its State Parks. Saves you the $8.00 daily pass which is in addition to the camping fee at every Colorado State Park during the month of August. 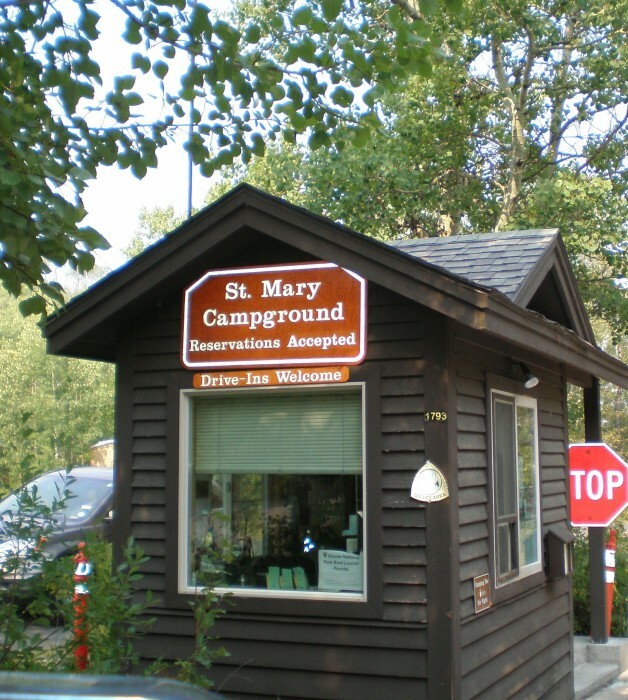 Park facilities include flush toilets, pay hot showers, laundry, centrally located water, fire ring and a dump station. Bathroom and Shower house was very clean. The park offers boating, bicycling, horseback riding, hiking, and a swimming beach on the opposite side of the lake. It even has a model airplane flying field. We would stay at Chatfield SP again. We camped at Chatfield State Park in a Motorhome. Nice clean campground with cottonwood trees that give plenty of shade and nice green grass in the middle of the desert. RV site have 30/50 amp power, currently installing water at each site, no sewer. All sites are paved and level. Several pull thru sites for bigger rigs. Very friendly and helpful staff. There is a dump station and boat ramp. Nine hole city golf course in park. We camped at Green River State Park in a Motorhome. Only 70 miles to Moab and Arches NP, great for day trip. John Westley Powell museum in Green River, very well done. If you are there from mid August to late September, buy a watermelon, that is the specialty of Green River. Excellent location for visiting Park City area. Beautiful views of lake. We arrived mid week and had choice of sites. Newly repaved and level. We camped at Jordanelle State Park in a Motorhome. Pull thru and level site with water, sewer and electricity. About 100 yards to the sandy beach and beautiful blue water lake. Would definitely return. We camped at Rendezvous Beach Bear Lake State Park in a Motorhome. Beach, jet ski and boat rental. Beautiful Park, nice level sites, lake visible from campgrounds. Would go back. We camped at Reed Bingham State Park in a Motorhome.